of the important brain compound gamma-aminobutyric acid. 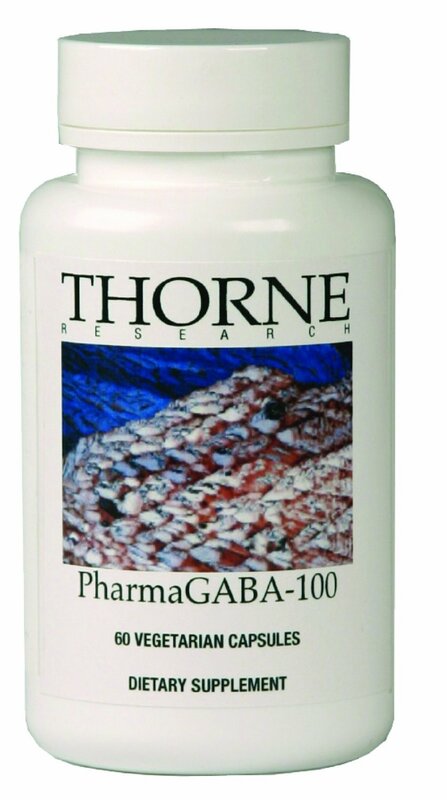 Clinical studies have shown Pharma GABA helps to increase the production of alpha brain waves to create a profound sense of physical relaxation while maintaining mental focus. If your having trouble relaxing and sleeping do what we at Hilifehealthcare did, try Pharma Gaba, it really does work. Available from Thorne Research, one of our Quality Professional Lines. Want a great night’s sleep give us a call at 1-800-918-4926. Proprietor Harold and his trusty sidekick Rosalie opened up an 800 square foot Health Food store in Union, NJ., 46 years ago. Harold always believed in giving the customer the very best product at the lowest possible price. He understood that Brand Name supplements, rather than Store House Brands gave the client a better product, despite lower profit margins. Harold’s store was one of the first to carry the Solgar, Solaray and Natures Way brands. Well, a lot has changed in the industry over those forty six years. Large corporations, pharmaceutical firms and holding companies now own Vitamin Companies that were started by families after WWII. Many of the Mom and Pop local retail stores can no longer compete with the large chain and Internet retailers and have closed. 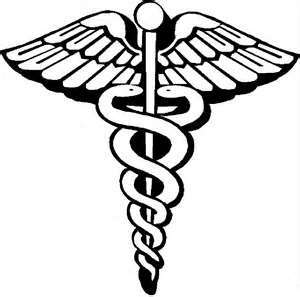 However, one bright light still shines, Hilifehealthcare. We carry all the major brand name Supplements and have added Doctor’s Lines and Personal Care Products. We still call our retail store the “Health Shoppe” in honor of Proprietor Harold and you can find us on line at Hilifehealthcare.com. While several of the large on-line retailers refuse to take a phone order, we enjoy speaking to our customers. That is why we encourage you to call toll free 1-800-918-4926, if you have any questions. We are available M-F from 9:30-2:00 (Eastern) to answer your questions regarding the products we sell. We utilize a state of the art database containing over 30,000 items from all the major manufacturer. We validate your order against the unique UPC bar code found on each item to insure you always get the correct product. So, regardless of where you purchase your Supplements or Personal Care Products, save money, by calling Hilifehealthcare today at 1-800-918-4926 or visit us at Hilifehealthcare.com and enjoy Brand Name Products at the absolute lowest prices anywhere. Since 1968, NOW Foods has been dedicated to empowering healthier lives. Still a family-owned company today, the NOW Foods corporate facility in Bloomingdale, Illinois, houses its warehouse, storage, manufacturing and testing laboratories. The in-house labs allow for one of the highest levels of quality control in the natural products industry. Because of their belief that natural is best, NOW Foods strives to use natural ingredients in their products, as opposed to synthetic. The majority of their product line is accessible to anyone following a specialty diet, offering many gluten free, kosher and vegan, items. Shop their vast product line including aromatherapy and essential oils, multiple vitamins plus minerals, personal care products, fitness and energy supplements and healthy foods. Now Foods is one of our Best Values in terms of price and quality. If you are looking for an affordable, quality line of Supplements, Personal Care Items or Healthy Foods, we highly recommend considering Now Foods. Check it out at http://www.hilifehealthcare.com/Now-Foods-s/2149.htm. There is a difference, move up to the Finest Grade of Vitamins available at Doctor’s Vitamins. Professional grade supplements always contain the standardized ingredients shown on the label and deliver consistent results. They are the supplements prescribed by your Doctor. Our Price will always be Your Best Price. *Free Shipping is Limited to the 48 contiguous United States. Talk to an expert from 9:30 a.m. to 2:00 p.m.
By Dr. Mark R. Rubin PhD. It is known that statins deplete your body’s natural levels of CoQ10, which is dangerous. CoQ10 increases cellular energy throughout your body and fights fatigue. In addition, CoQ10 helps to reduce muscle pain and weakness, which are the reported side effects of cholesterol-lowering drugs. Your heart is fueled by CoQ10, which also provides protection for your entire cardiovascular system. When your heart has the levels of CoQ10 it needs, you should feel fine, however your body will suffer if your heart is struggling to do its job. Suboptimal heart function can result in fatigue, pain and decreases in mental functions. So, if you have these problems that seemingly won’t go away, CoQ10 may be the natural solution you’ve been looking for. It is know that our body’s ability to produce CoQ10 decline with age. Fortunately, you can replenish these levels by taking supplements of CoQ10. While we all can benefit from taking CoQ10 supplements, it is especially important for people with cardiovascular concerns, and for those who take cholesterol-lowering statin drugs, which further deplete your body’s CoQ10. While CoQ10 comes in tablets and capsules, the best form to take CoQ10 for maximum absorption is a gel cap, which contains the CoQ10 mixed with a little oil. There are two forms of CoQ10: ubiquinone (commonly sold as CoQ10) and ubiquinol (commonly sold as Ubiquinol). Almost all the CoQ10 that naturally exists in your body is ubiquinol. So, if you take a supplement containing the ubiquinol form, your body can use it right away. Conversely, if you take ubiquinone, your body will need to convert it to ubiquinol, and the conversion may not be as efficient. That is why ubiquinol is the best choice. Generally, most people benefit from taking 100–200 mg of CoQ10 daily. But your health care practitioner may change this dose if conditions warrant. Consult with your health care provider before taking CoQ10. We recommend Healthy Origins products, which are developed with their own custom formulations and are manufactured in the USA, with strict compliance to the FDA mandated GMP guidelines. The product labels disclose all ingredients used and there are no hidden fillers, binders or coatings that could diminish the integrity of the products. Why take Fish Oil, which Brand should I use? Fish oil is among the best sources of omega-3 fatty acids such as EPA and DHA, which plays a role in protecting our blood vessels from hardened deposits of fat and minerals. Research has shown omega-3s exert their cardio-protective influence through a variety of mechanisms, including interfering with the formation of clot-forming blood platelets; stopping the release of compounds that promote plaque formation in the arteries; and reducing triglyceride levels in the blood. Omega-3s are the “essential fatty acids” that must be obtained from diet or supplements, since we cannot manufacture them. For people who don’t eat omega-3-rich fish like salmon, mackerel, herring, sardines, anchovies or lake trout – Fish Oil Supplements should be used. Many doctors have become advocates for the supplemental form, particularly for their patients at risk of heart disease. It’s important to discuss with your doctor or dietitian what they believe is an appropriate and safe dose for you, given your individual health profile and other medications you use. If supplements are your choice consider taking 400 to 500 milligrams per day of combined EPA and DHA. This is the recommended intake for healthy adults without a history of heart disease to meet their basic needs. Higher doses should be taken under the supervision of your Health Care Provider. Don’t be confused about what product to buy, trust the brand recommended by Doctors and Dietitians “Carlson’s Fish Oil”. 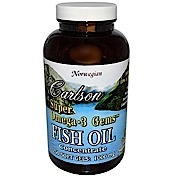 Carlson offers a variety of Fish Oil products in Capsules and Liquids that are very tasty. All Carlson Fish Oil products are regularly tested using AOAC international protocols for potency and purity by an independent FDA Registered Laboratory and during the month of December you receive an extra 5% discount on all Carlson Fish Oil products, no Coupon Required. Try our best selling Fish Oil, SUPER OMEGA-3. Click Here to Take a Look. Supplements vary in quality in both ingredients used to manufacture and the process used to make the supplement. So how do you tell the difference between high-quality and low-quality nutritional supplements? Most of the nutritional supplements that are readily available to the average consumer are low-grade chemicals stuffed with fillers that contain little-to-no nutritional value. While the consumer may never know the difference, the overwhelming majority of the so-called “affordable” supplements found in drugstores and major retail chains are not adequate to ensure proper nutrition and avoid or reverse nutritional deficiencies. Amazingly, the nutrients that most Americans have access to have virtually no nutritional value. The products offering the most nutritional value are medical grade supplements offered through health care providers. Unfortunately, most Americans don’t have access to these without a doctor’s referral. The top-rated supplement brands include Douglas Laboratives, Pure Encapsulations, Vital Nutrients, Thorne, Metagenics and Integrative Therapeutics. Sadly, the overwhelming majority of people who actually do take supplements on a daily basis to promote good health have never even heard of any of the aforementioned brands, which actually DO offer high quality, readily absorbable and bioavailable nutrients. The good news is that Hilife sells all these pharmaceutical-grade nutritional products at discounted prices. Please don’t buy cheap supplements from major retailers. Visit us today at http://www.hilife-vitamins.com or call 1-800-622-8877 and invest wisely in your health.